If you've been following along with us we've been on a slow walk up the stairs to the attic floor of the XHouse4. And here we are - we've arrived! 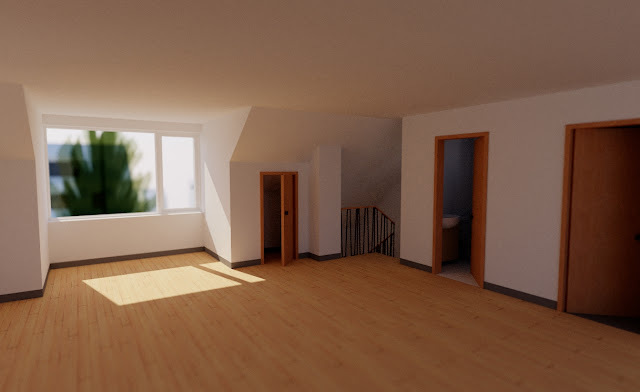 The attic floor is one large room, with wide dormers that admit a lot of light. There is a full bathroom, and an hvac closet, and storage closets under the sloped ceilings. This space can be split into two rooms if you wish, used as bedrooms, a great home office, a playroom for the kids, or anything else you can think of. So enjoy, its does not get much better than this.